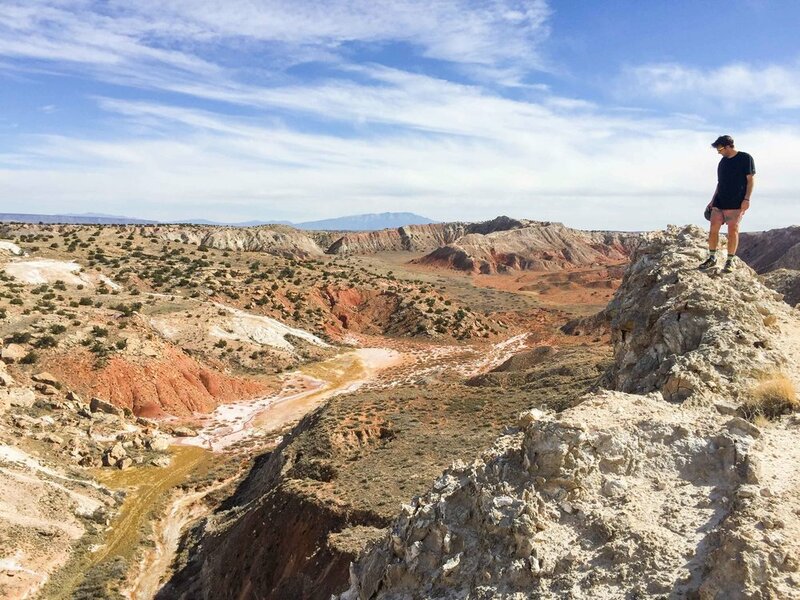 We packed up the newly remodeled road-trip-ready Subaru and headed out for a northern New Mexican adventure. 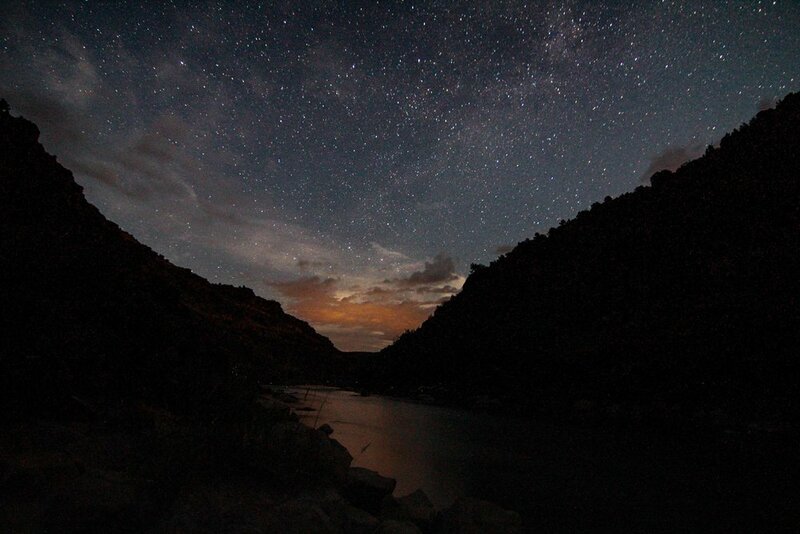 Our first stop was Jemez, just about an hour and thirty minute drive from Albuquerque. 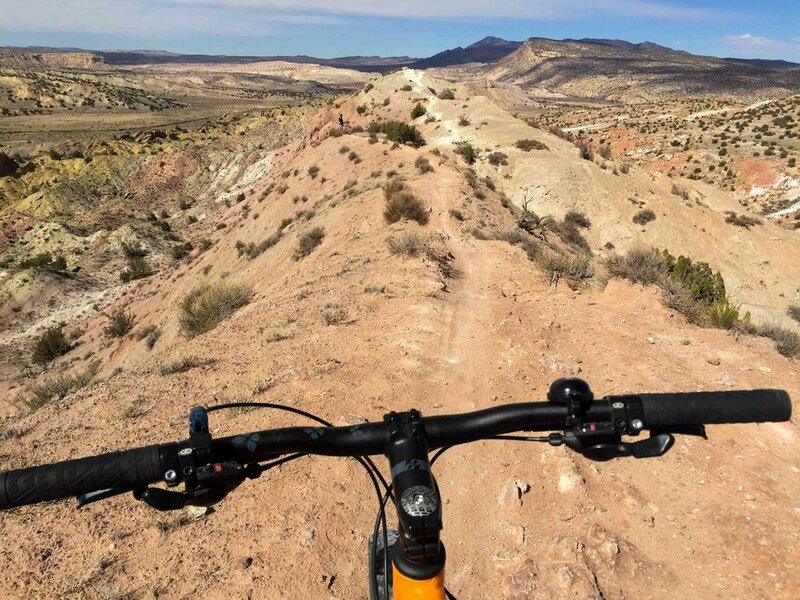 If the weather was cooler and it wasn't the peak of summer, I recommend stopping at White Mesa (photos below) for a very unique mountain bike experience. 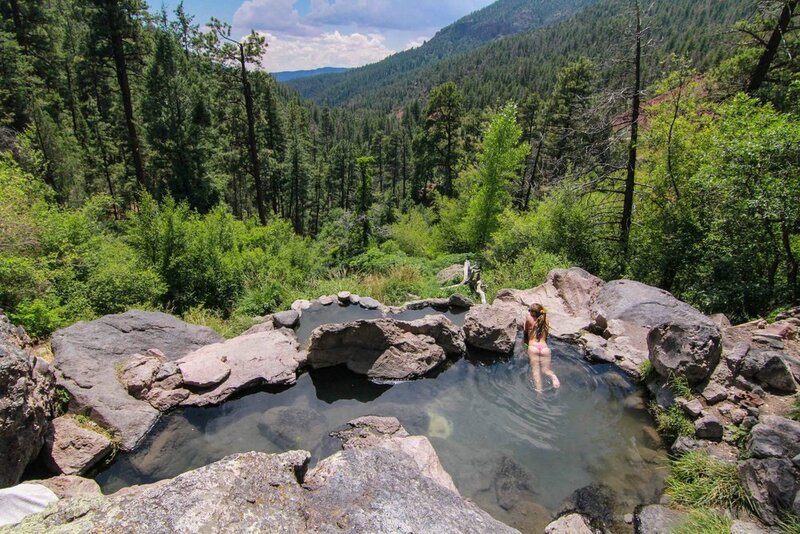 Our first stop in Jemez was Spence Hot Springs, while we waited for a friend. The pools at Spence aren’t incredibly warm, but they are worth the short hike and they have an amazing view from the pool. Our next stop was San Antonio Hot Springs, off of Highway 126. We arrived to a closed gate and had to walk over five miles, one way to the hot springs, but it was well worth the walk. 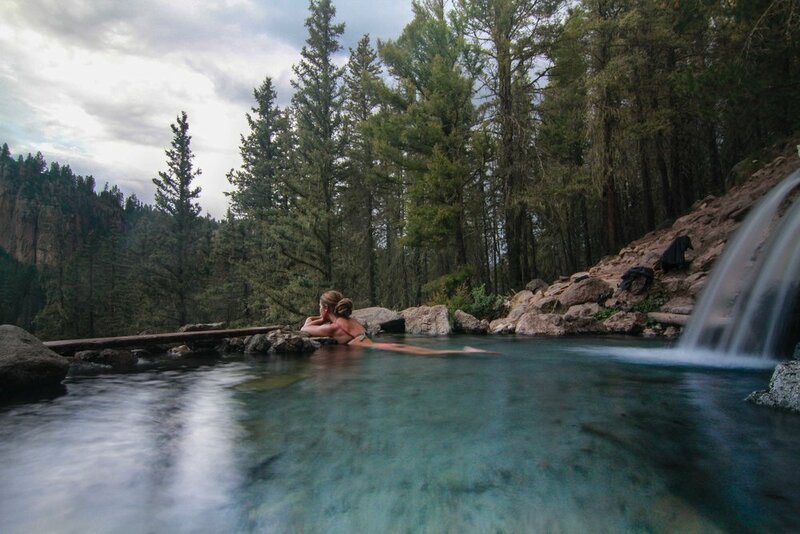 These are some of the best hot springs I’ve been to in New Mexico. It consists of about 5 pools with a high pressure source pumping out into the top pool. We left in the late afternoon and were soaked on the hike out and slept in the Jemez Falls parking lot that night. 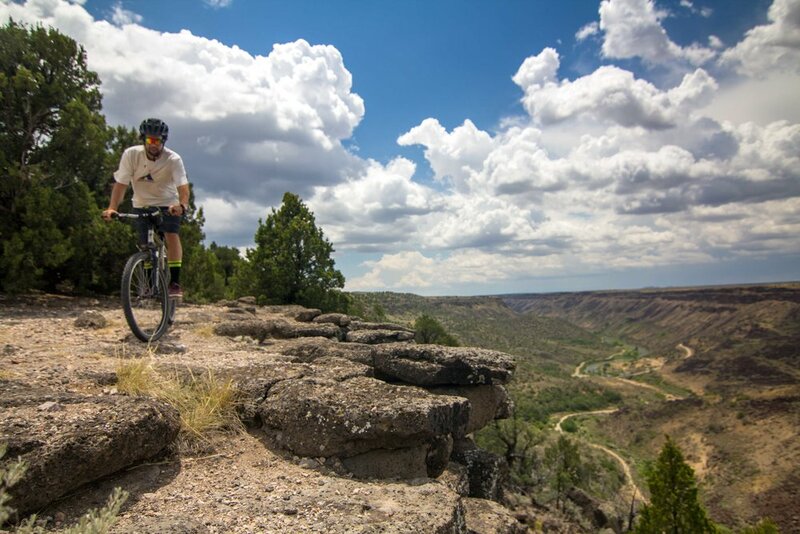 The next day, we drove highway 4, easily one of the New Mexico’s most scenic roads, passing through the Valles Caldera and then through Los Alamos, where there is more mountain biking. 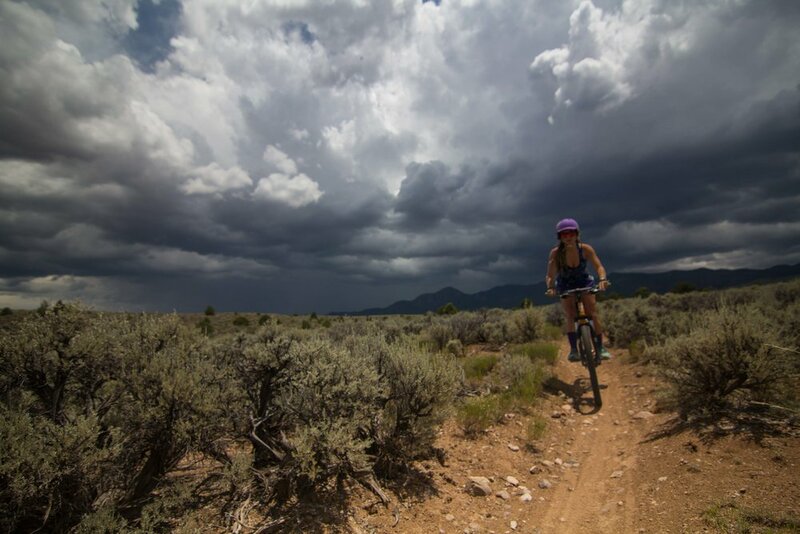 The next stop was Taos Ski Valley to ride the Northside Trails. 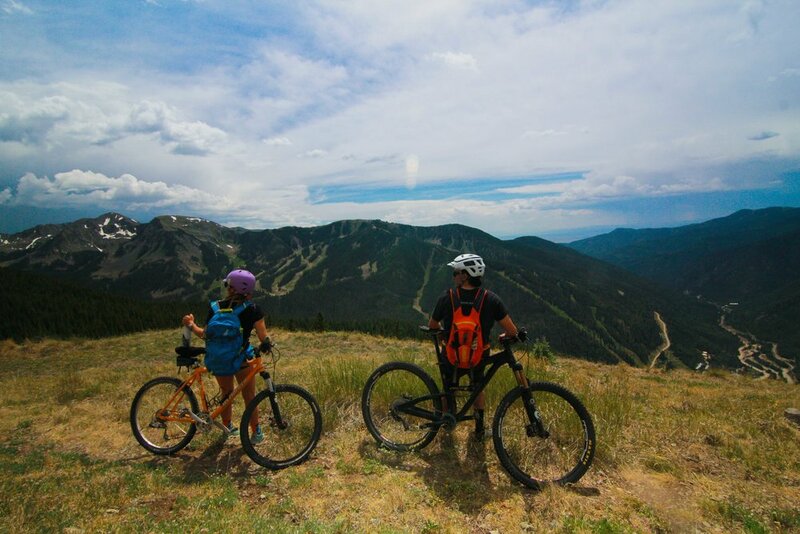 With a climb of over 2,100 feet, this trail is a big climb and the only alpine riding in New Mexico. 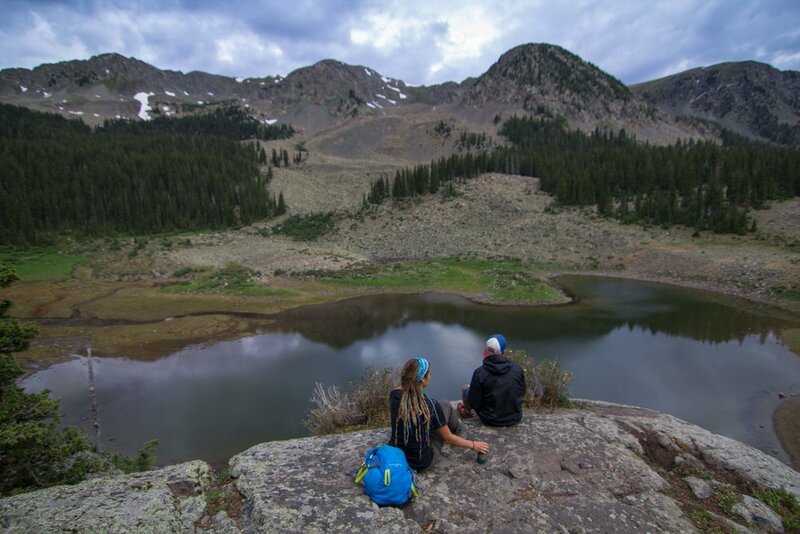 The Climb is worth the effort and the views of the Carson National Forest are epic. Get ready for a steep ride down. I don't know if you've ever been to TSV, but they say Taos is a four letter word for steep. After the ride we had a beer and snack at the Stray Dog Cantina and headed down the valley to Taos Mesa Brewery. We stayed a few days out on the mesa with a good friend and relaxed and explored Manby and John Dunn hot springs in the Rio Grande Gorge. One afternoon we headed back up to TSV to hike to Willams Lake. 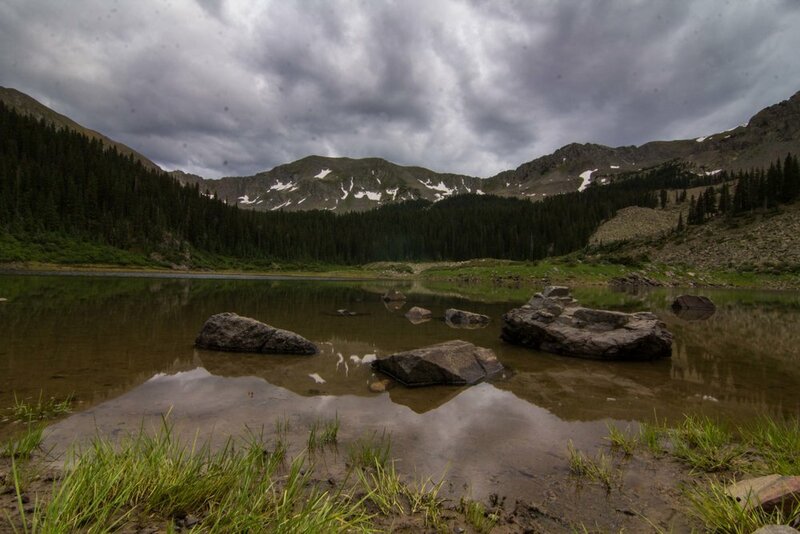 The lake sits below New Mexico’s tallest point, Wheeler Peak. Later that week, we rode Horse Thief Mesa and the Rift Valley Trail before heading back to Albuquerque. Before arriving to Albuquerque, we stopped at our favorite trail, Bobsled, in Palcitias. Upon Arrival, we were really stoked with our spur of the moment trip and another trip in the Subaru.